Last week I made beef big plate nachos with vegan cashew cheese. I got some questions why I would use vegan cheese on beef nachos? Simple answer because this cheese is absolutely delicious. So today I am showing you how to make vegan cashew cheese 2 ways. Lets get started! Okay it is vegan but that is because the ingredients are. What matters in my opinion is that what you eat is something that tastes really great and that there isn’t any dairy in it is a bonus. As you can see on my blog I am not vegan but a lot of the things are vegan. So I am all for combining what you like and in this case it was adding vegan cheese. I never thought it was possible to make a dip that tastes like cheese but is not cheese. The main ingredient of this cheese is cashew. Cashew is high in protein and a source of iron. Cashew is one of my favorite nuts. Roasted, salted or unsalted. I like them even better than peanuts or almonds. In the past I have made cashew nut butter the same way as I have made the worlds easiest peanut butter. I used roasted unsalted cashew and put it in the food processor until it turned into a butter. This recipe is kind of similar. There is quite a difference in taste between roasted salted cashew nuts and raw cashew. 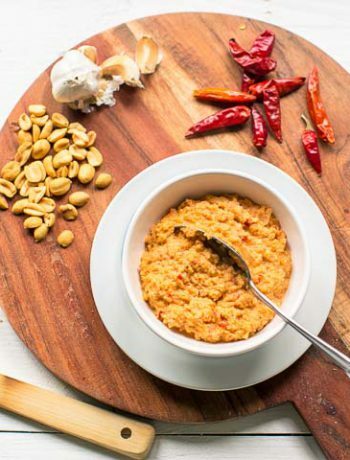 For vegan cheese or this cashew dip I add some garlic powder and cumin powder to the raw cashew nuts. Then I add the secret ingredient nutritional yeast and let the food processor do its job. The nutritional yeast is adding that extra nutty flavor to the cheese. To turn it into a smooth cheese I add some water when all the ingredients are combined. The length you run the food processor and the amount of water determines how smooth the cheese will be. If you like a more solid thick cheese/dip then add little water. If you like a more smooth, soft cheese you add more water. Are you a nut for nut butters? 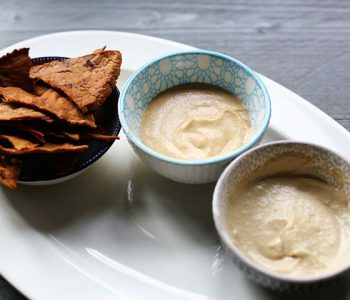 I hope you enjoy this recipe how to make Vegan cashew cheese 2 ways! Made a recipe tag @thetortillachannel on Instagram or PIN on Pinterest. 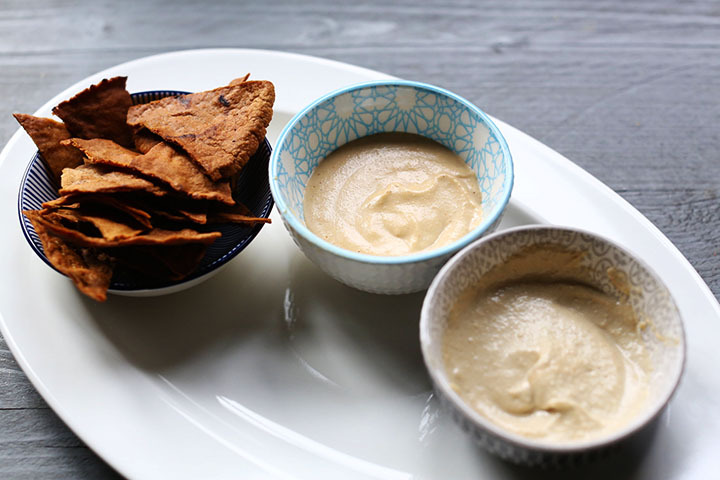 Today I am showing you how to make vegan cashew cheese 2 ways. Cashew, spices and water. Its amazing how great this tastes. Lets get started! I’ve been meaning to make some cashew cheese for a while, it looks delicious! Thank you Liberty. 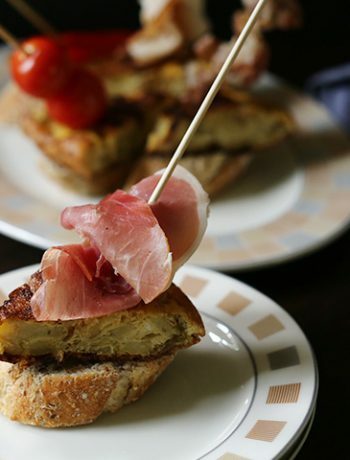 This one is really easy to make and indeed very delicious! Have a look at the video where I show how you can make this one yourself. What kind of blender or food processor do you recommend. 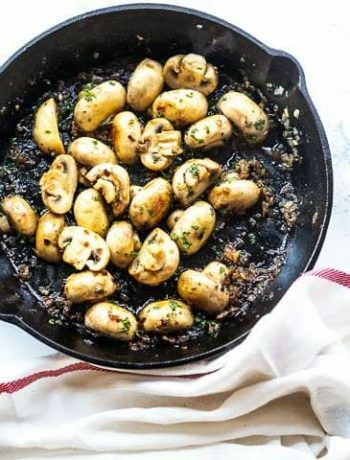 I’m loving your recipes so much and pass along to my friends after I make them. How great to hear you love my recipes so much that you pass them along to friends! So nice of you. I recommend using a food processor or kitchen machine. The one I used in the video is a Philips but that is not available any more and a Magimix like the 3200 XL but which is more expensive than the Philips. Ideally you look for a food processor that has about 600 Watt in power. If you are making peanut butter of cashew cheese you need something with power. Hope this helps.